If this is your idea of a ‘Brand Ambassador’ then stop reading. 1 – Your company looks for and values direct communication with its customers. Direct communication is vital for the success of a Brand Ambassador program, so if your company doesn’t value communication and feedback from its customers, that’s a big red flag. Companies that are primed to launch a successful Brand Ambassador program understand the value of keeping open lines of communication with its customers and seek out their feedback. 2 – Your company already has programs in place that organize its customers. This could be a referral or loyalty program, or something like a Brand Advisory Panel. The existence of such programs is another sign that your company is comfortable working with its customers, which is a precursor to launching a full-scale Brand Ambassador program. 3 – Excellent customer service is a point of pride in your organization. This shows that your company values its customers and their satisfaction. It also shows that they understand that customers are more than simply a transaction, and that type of mentality is vital to the success of a Brand Ambassador program. 4 – Your company has a robust social media monitoring program in place as well as a structure for responding to customers. This shows that your company is already used to actively monitoring what its customers are saying online, and is comfortable responding to these customers. It also shows that your company has a better sense for who its customers are, since it is constantly interacting with them. This makes it easier for them to identify existing fans and to understand them as well. 5 – Your fans are already proactively contacting your company. A byproduct of having systems in place that allow direct interaction with your customers is that your most passionate customers (fans) will start reaching out proactively. They are looking for ways to better connect with you and better help other customers learn about you and discover why they should love your brand as much as your fans do. All of these signs point to a company that is comfortable connecting with its customers and understands the business value of doing so. 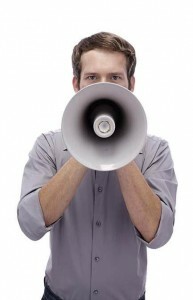 With many companies, they hear about the concept of a Brand Ambassador program and think ‘Hey! That would be awesome to have our customers out there selling for us and spreading positive Word of Mouth about us!’ Companies that actively connect with their customers understand that the value of these connections is far more than simply creating new salespeople. These companies understand that communicating directly with customers and helping them increases customer loyalty. And feedback from customers, which can be acted on to make marketing, product design and really all areas of the business more effective and efficient. The companies that are truly ready to create an amazing Brand Ambassador program love their customers and are constantly looking for ways to create more value for them. The companies that aren’t ready for a Brand Ambassador program are the ones that view their customers as transactions, not people. Finally, any successful Brand Ambassador program has to have buy-in from the top. Unless the CEO is on board with creating a Brand Ambassador program, it’s not happening. A Brand Ambassador program is a long-term investment, and if done correctly, it works wonderfully well by creating value for your customers and at the same time giving your customers the tools and assets they need to create additional value for your company. A true win-win scenario, but that only happens if your CEO is willing to view your customers as partners, not transactions.